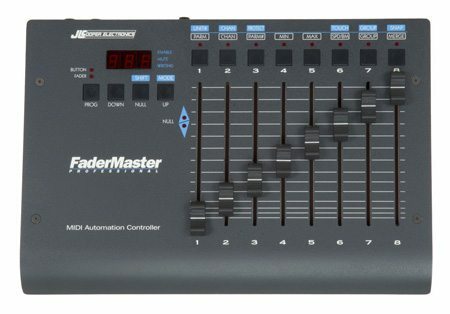 The FaderMaster Pro is the universal MIDI fader control unit. 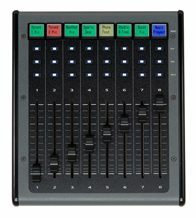 It can control the audio faders of a wide range of MIDI, audio or video workstations, restoring hardware control of those tricky to use screen faders or controls. FaderMaster Pro will also give instant tactile access to controls or parameters of hardware processors normally only reached via set-up menus or modified using pushbuttons. The FaderMaster Pro is equipped with eight precision 100mm faders, each with a programmable function key that will control channel selects, mutes, program changes or trigger samples. Configuration is quick and easy using the 50 Factory presets and incorporates powerful automation and grouping functions for improved ease of use and efficiency.